Today’s review revolves around the Cooler Master MK750 keyboard, boasting per-key RGB illumination, a minimalistic design, magnetic wrist rest, Cherry MX key switches, full N-Key rollover support, a removable braided USB Type-C cable and much more. 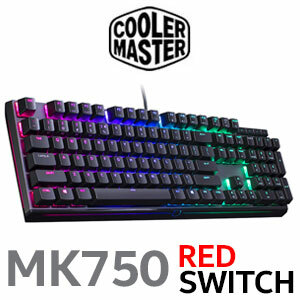 Following the MasterKeys Pro, the MasterKeys MK750 is the second keyboard by Cooler Master with real RGB illumination. The MasterKeys Pro is available in different sizes. This means that other than the MK750 the MasterKeys Pro also has a compact tenkeyless version (MasterKeys Pro S).